Established in 2005, Dongguan Dingxiang Silicon & Metal Products Co., Ltd. is a professional manufacturer and exporter that is concerned with the design, development and production of silicone rubber products and silicone jewelry. 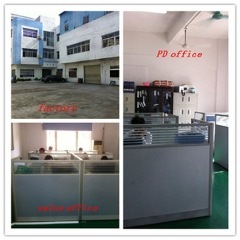 We are located in Dongguan City, Guangdong Province with convenient transportation access. All of our products comply with international quality standards and are greatly appreciated in a variety of different markets throughout the world. Covering an area of 3000 square meters, we now have over 50 employees, boast an annual sales figure that exceeds USD two million and currently export 70% of our production worldwide. Our well-equipped facilities and excellent quality control throughout all stages of production enable us to guarantee total customer satisfaction. 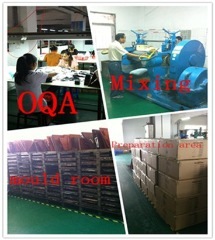 Besides, we have received ISO9001:2008. Currently, our company is applying for the certification of ISO14000 system. As a result of our high quality products and outstanding customer service, we have gained a global sales network reaching the United States, Japan, Canada, Germany and other developed countries. .Perfect gifts for the young.